Why Daddies Often Buy 4-Wheeler for Their Kids? 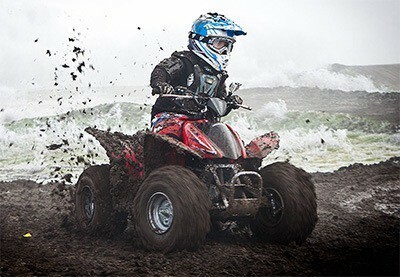 KidsATVsale.com » Electric ATVs » Why Daddies Often Buy 4-Wheeler for Their Kids? I’m sure everyone has heard a daddy exclaim how he would’ve liked the kid 4-wheeler existed in his childhood. It’s impossible to count all suchlike displays of emotions. And certainly, every adult from time to time imagines what he or she would have done with such opportunities as children have in the modern world. Of course, we cannot change what is the past already. All of us are well aware and conscious of that. But we are able to do the now of our children much better. More than that, improving the present for our children we improve their future too. Besides to be a great entertainer, the 4-wheeler is an excellent trainer. It will help your kid make first steps into the big world. And the big world is the world of cars (well… among other things). Sooner or later your children will have to acquire driving skills, so wouldn’t it be reasonable to start now, while they learn such things with ease and pleasure? One can easily guess that the security is the main characteristic of 4-wheelers for children. Cross-country performance and high speed fade into the background. Mechanical disc brakes, speed limiter, and two-stroke engine – such are the main components of the vehicles for the youngest drivers. Weight and size are not very big in such constructions. There are usually no problems with the maintenance of these models. Designs intended for older children and adolescents have four-stroke engines. Such 4-wheelers are almost complete copies of adult versions, except the size, of course. 4-wheelers with engines up to 72 cubic centimeters are usually recommended for children under 12. For a teenager, you can buy a model with a 110cc engine (so-called 110cc ATV for kids). Even the youngest children won’t have any difficulties in managing their quads. The pleasure will be absolutely unforgettable. Owning a vehicle, ride it on their own – all that give children the happiest moments of their life. Each of us wishes such toys had been available in our younger days. Then why not give some new happiness to our children, as long as it is in our power so that they have these joyous moments to remember all their life? 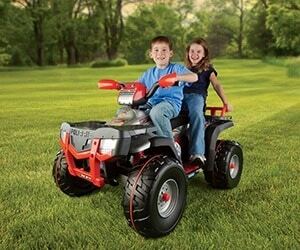 When Is The Time To Buy Your Child an Electric ATV?